Managing more than one account can be a very difficult and demanding task. Checking each forex account is inefficient and time consuming since you cannot see all the important information in one page. With Trading Stratagem Dashboard, you can quickly see what is happening on each account. In addition, you can customise what you need to see inside the Dashboard. If you have more than one account this will become you favorite page. 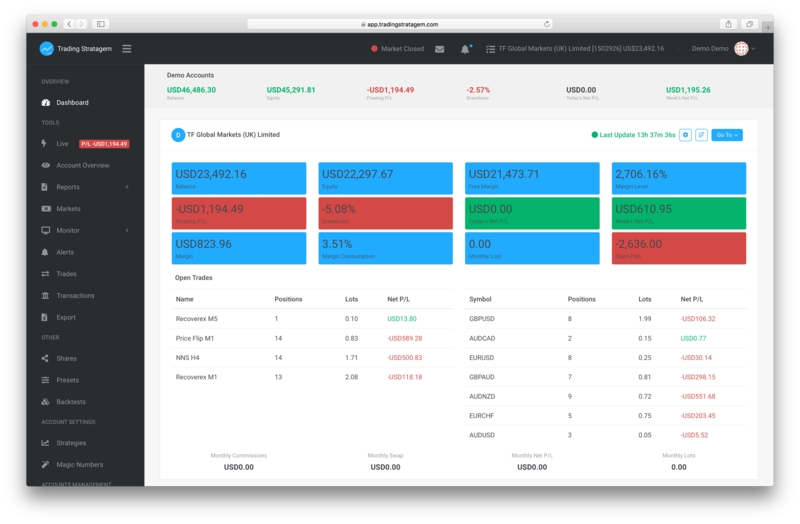 Your personal forex Dashboard.